Boulder Junction is quickly becoming one of the top destinations in the state for bicycling. 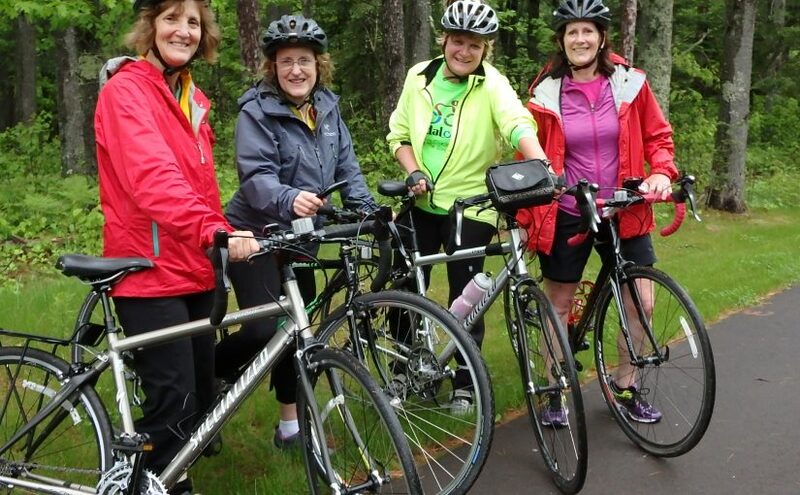 Since 1994, Boulder Junction has been home to the Heart of Vilas County Bike Trail. The trail began as just a short loop around the baseball park, located off Hwy M behind the Boulder Junction Chamber of Commerce. Over the past several years the trail has expanded to over 50 miles, connecting Boulder Junction with Manitowish Waters & Mercer (west) and Sayner and St. Germain (south). 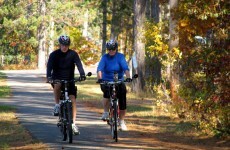 The Heart of Vilas County Bike Trail is fully paved and appropriate for all types of bicycles. The system includes the popular Crystal Lake Trail, which runs from downtown Boulder Junction past Trout Lake to the Crystal Lake Campground, where you’ll find a picnic area and beach. 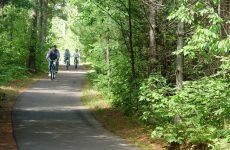 The west portion of the trail is host to multiple scenic bridges and crosses over the rapids of the Manitowish River and Rice Creek , through Manitowish Waters and the new addition of the trail continues on paved trails and lightly used roads to Mercer. Also along this part of the trail system is Nichols Beach, a great place for picnicking and swimming. Downtown Boulder Junction is the heart of this expansive trail system. There is no fee or trail pass required. 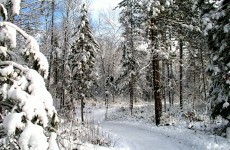 Location: There are many parking areas along the trail. The main trailhead in Boulder Junction is next to the Chamber of Commerce on Hwy M. Please refer to the map for additional parking areas.